Maranella is a costumed medieval minstrel band playing for medieval themed weddings, banquets and parties. 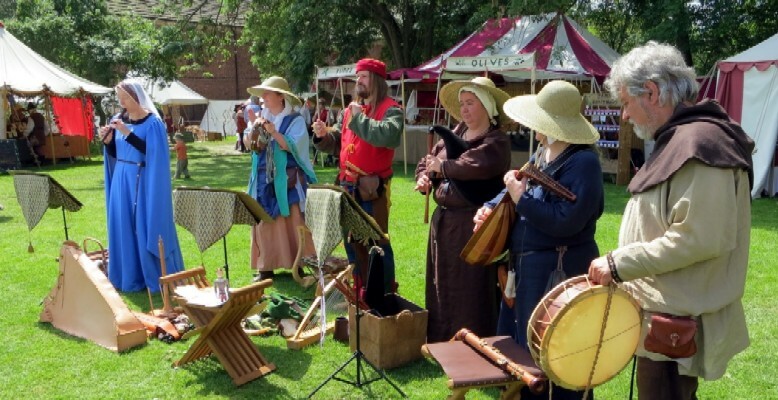 We dress in authentic medieval costume and play period instruments including lute, harp and recorders. We sing both a capella (unaccompanied) and songs accompanied by lute, harp and other instruments. We play and sing music from 1200 up to around 1500. None so far, some amateur videos may be found on YouTube.